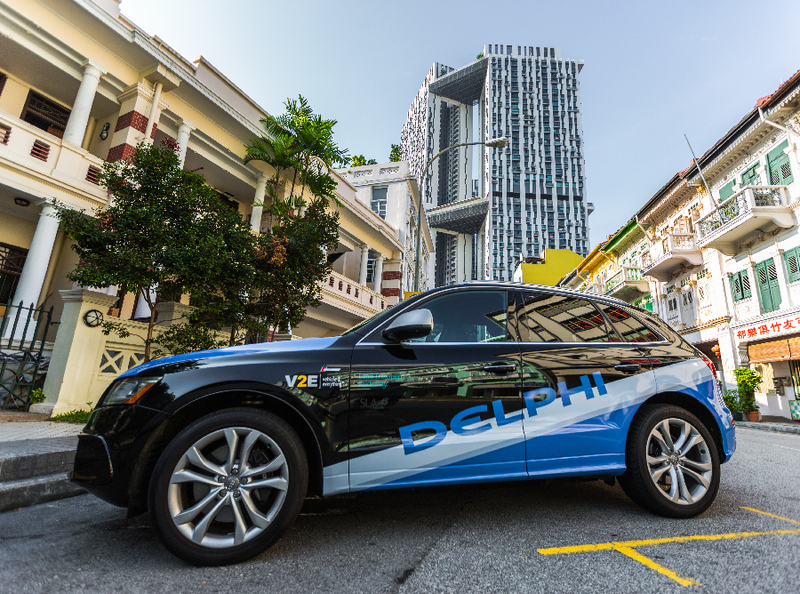 Delphi Automotive, the global provider of vehicle electronics components, will begin testing 6 phone-dispatched autonomous taxis in Singapore that will go point-to-point based on customer requests with a goal of providing no-driver-in-the-car service by 2019, and cars without steering wheels by 2022. 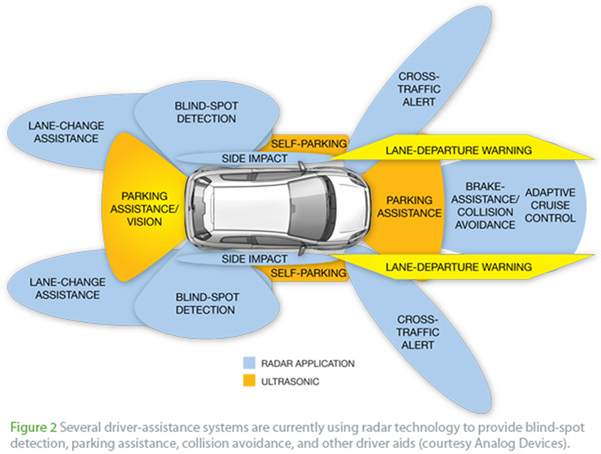 Delphi Automotive already provides some of the autonomous systems that are beginning to appear in new cars, as seen by this components’ graphic. 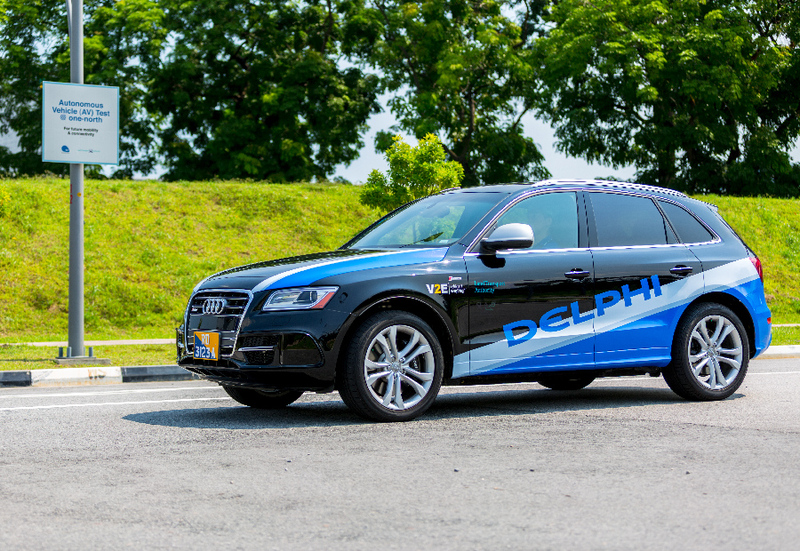 Delphi has a small autonomous fleet in Silicon Valley and last year demonstrated a coast-to-coast autonomous drive. “We actually will have point-to-point automated mobility on demand with no driver in the car. It’s one of the first, if not the very first, pilot programs where we’ll demonstrate mobility-on-demand systems. Singapore is a small island and right now, for the individual to get to the mass-transit systems, it’s not easy. The city is really trying to lead the world in addressing urban congestion. DeVos said Delphi plans to announce similar pilot programs in the U.S. and Europe very soon. If all goes as planned, the next phase will be deploying fully autonomous cars without steering wheels by 2022, he said.